South Carolina is a heavy location for shipments. We have a vast network of carriers and deep discounts. 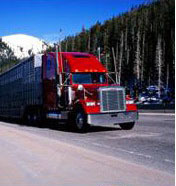 You will find Old Glory Freight knowledgeable and make your shipping transaction affordable and easy. We will provide you with all your shipment documents and track your shipment for you. If you are a one time shipper or a customer that ships often we will be with you from start to finish. If your South Carolina shipment is point of origin or a destination point we are ready to save you money. All requests for discount freight shipping quotes are welcome. Our dedication to our customer is second to none. Old Glory Freight respects your privacy and does not share your personal info with anyone.